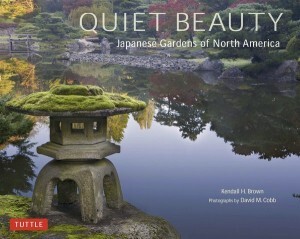 Despite this week’s flooding at the Manzanar National Historic Site, Dr. Kendall Brown, author of “Quiet Beauty: Japanese Gardens of North America,” will give a presentation on Saturday, July 27. His 10 a.m. walk will be re-routed to gardens in Blocks 9, 15, 17, and 22 and at the hospital, which were not impacted by the flood. Visitors wishing to join the walk should meet at the Visitor Center and wear sturdy shoes or boots, sunscreen and hats, and carry plenty of water. At 2 p.m., Brown will give a talk in the Visitor Center. The afternoon program will focus on the gardens created at Manzanar during World War II and the pivotal place camp gardens hold in the larger history of Japanese-style gardens on this continent. Between programs, Brown will sign copies of his book in the Manzanar History Association bookstore. The auto tour road remains closed due to flooding, but visitors may access undamaged areas of the site on foot. The Visitor Center is open from 9 a.m. to 4:30 p.m. daily. For more information, call (760) 878-2194, ext. 3310 or visit www.nps.gov/manz or www.facebook.com/ManzanarNationalHistoricSite.